WhatsApp is the most popular messaging app in the world. Reliance Jio Infocomm Limited director Akash Ambani told ‘We will be providing WhatsApp, the most used chat application in the world, on all JioPhones starting today’. 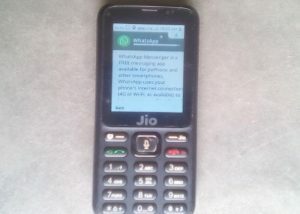 So they are finally launched new version WhatsApp messaging app for JioPhone to run on KaiOS operating system and the fact that it’s coming to one of the good news for everyone. Finally WhatsApp is available for download all version JioPhone via Jio app store from September 10. The app will be rolled out to all JioPhone users by September 20. WhatsApp has built a new version of its messaging app for JioPhone to run on KaiOS operating system. The new app offers the best of WhatsApp including fast and reliable messaging and the ability to send photos and videos all end-to-end encrypted messages easily. 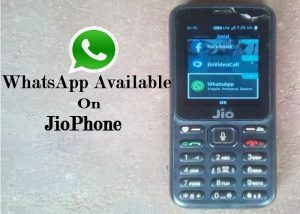 To get started JioPhone user only need to verify their phone number and then they can begin messaging with other WhatsApp. WhatsApp Vice President Chris Daniels said ‘Millions of people across India can now use WhatsApp private messaging on the best-in-class JioPhone across India. By designing this new app for KaiOS, we hope to expand the ability for people to communicate with anyone in India and around the world by offering the best messaging experience possible to JioPhone users’. Then user get see WhatsApp download or install. Once the app is downloaded, users need to verify their phone number with an OTP. After then user can start messaging.